OLI Payment Codes are similar to access codes for other online learning products. Currently they are provided only by the Open Learning Initiative, so bookstores must order them directly from OLI. 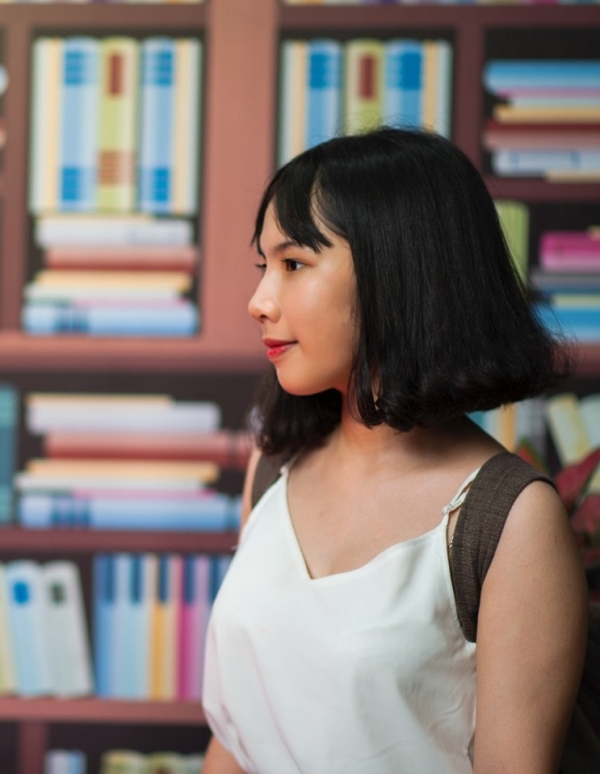 They are fulfilled digitally in the form of a PDF the bookstore can print and distribute to students, or by request in the form of a spreadsheet of codes and expiration dates accompanied by a set of redemption instructions, which the bookstore can use for digital distribution. Students purchase the codes in the brick-and-mortar bookstore or on your website using cash, credit, or financial aid funds, and when they register in their OLI course they use the OLI Payment Code as the form of payment, just like a gift card. These are the steps to make OLI Payment Codes available in your store. A bookstore employee places an order using the OLI Payment Codes order form. OLI fulfills the order, usually the same day for orders placed before 12:00 PM EST. Otherwise, the order is typically filled the next business day via email. A fulfilled order consists of a PDF file with the same number of pages as the number of codes ordered. 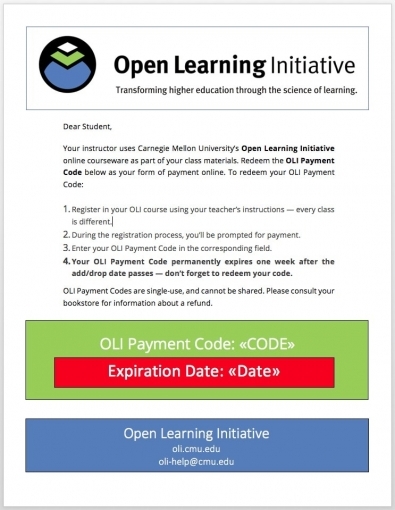 On each page is one unique OLI Payment Code, its expiration date, and a clear set of instructions that students need to redeem the code. See a sample OLI Payment Code document pictured here. OLI charges bookstores the same amount per code as it charges students, and the store is free to mark up the cost as it sees fit. OLI Payment Codes expire one week after the Add/Drop period for the classes where the codes are used. That way, students who add the class on the last day have a little extra time to pick up their materials at your bookstore. When the expiration date on a set of codes has passed, OLI tallies the quantity of codes redeemed by students and begins the invoicing process. The unused codes expire, so the bookstore should destroy any leftover codes. OLI then enters stream with other groups at Carnegie Mellon University, and your bookstore’s invoice will be generated by CMU’s Accounts Receivable department in the order it enters their stream. Returns are never necessary because your bookstore never pays out of pocket for inventory. You will only ever be invoiced for OLI Payment Codes that have been sold by your bookstore. If an exceptional case is identified, OLI accepts refunds on a case-by-case basis at our discretion. Same-day or next-day fulfillment is the goal.